The Red and the White, a Soviet film released in 1967, depicts the confusion and brutality of the Russian Civil War. At the time of film’s release, war movies, due to their intense popularity, had formed a clearly defined set of tropes and tactics. Director Miklos Jancso could have easily followed these rules to construct a traditional war narrative. Instead, Jancso rejects nearly all the typical elements of a war film. This results in a kind of hybrid film that defies categorization. It is hard to pinpoint exactly which genre The Red and the White belongs in. Can viewers consider a film without a traditional narrative, a drama? Does a piece without archetypal characters count as a fiction film at all? The Red and the White utilizes many techniques that unnerve the viewer in its deviation from the classic war-genre film. These techniques serve to create a depiction of war that falls somewhere between fiction and nonfiction, blurring the lines between art and historical depiction. The classic film, Pork Chop Hill, exemplifies the traditional Hollywood war drama at its zenith. The Red and the White and Pork Chop Hill, released in 1959, come from different countries, but similar historical contexts. Audiences were used to seeing certain types of film. Pork Chop Hill, with its sweeping music and opening credits, throws the audience into the world of Hollywood cinema. 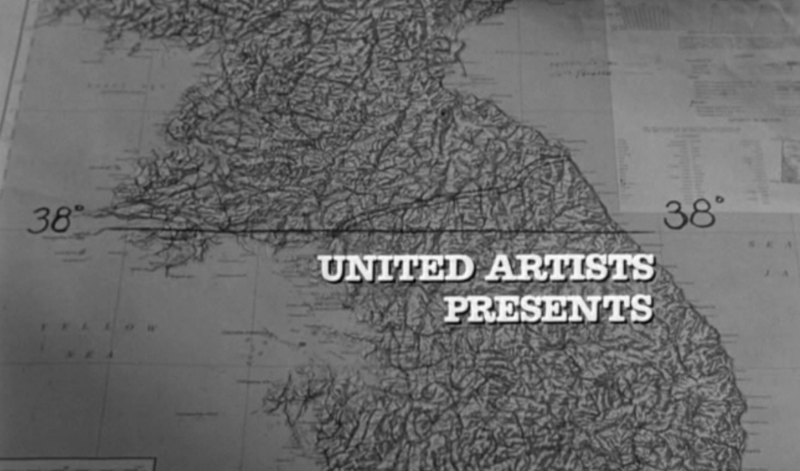 The opening sequence prominently features its star, Gregory Peck. The director, Lewis Milestone, leaves no room for confusion: this is a war movie. As a result, the audience goes into the first scene with a plethora of ideas and expectations for the film that Milestone gladly meets. In the first few scenes, the film presents the audience with clear characters. These are not soldiers, but stars thrown into a uniform and told to run with a gun. There is an obvious protagonist, Lt. Clemons played by Gregory Peck, supported by a cast of distinctive personalities. For example, the film immediately cultivates the audience’s attachment to Corporal Fedderson and Corporal Jurgens, two goofy but loyal soldiers. When Clemons’ regiment begins its attack on Pork Chop Hill the dramatic soundtrack cues the audience’s response. The viewer believes in the capability of Clemons to overcome the impossible task of seizing Pork Chop Hill. Clemons embodies all the characteristics one would expect from a hero; he is stoic and brave, but still humble. As a result, the audience respects him and emotionally invests in his survival, raising the stakes and drama of each battle sequence. Pork Chop Hill stresses that the film is based on real events. However, one must question the accuracy of the picture. Pork Chop Hill depicts war the way we expect to see it. Audiences who have never experienced any kind of combat are not surprised by the war images shown on screen. They are not taken aback even though the film forces them to experience something completely foreign. 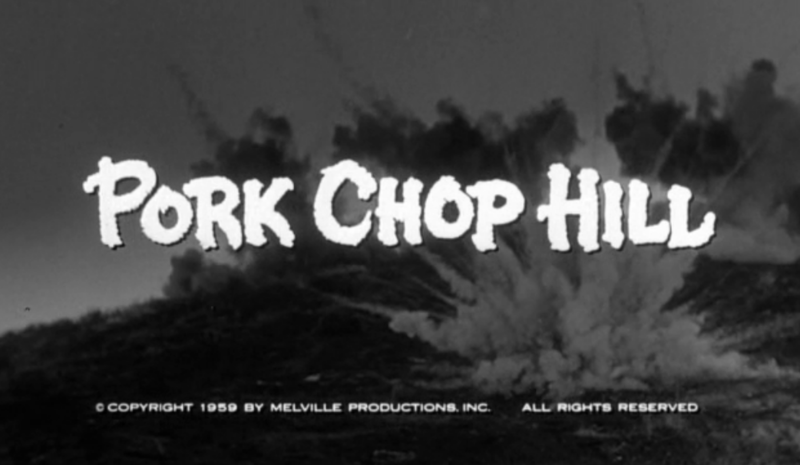 As a result, one could argue that Pork Chop Hill depicts war the way viewers want to see it, not the way it actually is. The Red and the White destabilizes the audience and uproots any chance at a cohesive narrative by omitting the use of distinct, named characters. Very few of the figures shown in The Red and the White are ever referred to by name and none have a backstory. Characters come into the story unannounced and die unceremoniously soon after. Most importantly, Jancso rejects the use of heroes in war films. Viewers rely on the trope of the protagonist as a hero. The protagonist does not always have to begin their journey as a valiant hero, but by the time the film ends, there is an expectation that they will proudly accept their hero-status. Jancso rejects the heroism of war by denying the audience a traditional hero to invest in. Similarly, he denies all of the other characters a chance to prove themselves. Jancso teases the audiences with moments of possible heroism, only to disappoint them. Twenty-six minutes into the film, two of the White Guard attempt to escape capture by the Red Guard and successfully subdue one of their assailants. Jancso provides the viewer with a very classic action-hero montage. In the image below the two nameless soldiers prepare to face off with other members of the Red Guard. The audience thinks that perhaps these two men will become the central figures of the film. However, the film quickly moves away from their story line, leaving their fate ambiguous. Following this sequence, the film turns to the farm of an innocent civilian family. Jancso introduces one of the few named characters, J. Glazunov, Lieutenant of the White Guard. The evil J. Glazunov orders the father of the family killed and sexually harasses one of the young women, forcing her to disrobe in front of him. With the introduction of a clear villain, mustache and all, the audience assumes that the hero will sweep in to save the family. Instead, the father’s death and woman’s violation happen in almost complete silence. The other family members do not scream in protest. J. Glazunov gives no evil monologue explaining his actions. He then dies less than five minutes after these events as punishment for his crimes. The simplistic treatment of these moments keeps the audience from caring too deeply about any character. By the time Glazunov dies the audience realizes that each character’s life on screen is ephemeral. Even with this knowledge the viewer still holds out for the arrival of a hero because it is impossible to imagine a war movie without one. Finally, fifty-one minutes in, the film introduces a character that most resembles the classic war hero. Commander, as the other soldiers refer to him as, makes his entrance in defense of men about to be shot for supposed cowardice. He appears brave and honorable. Surely, this is a man the audience can follow confidently into battle. However, in the subsequent scenes, the Commander executes a woman, forces a nurse to kiss him, and dies without even taking the time for a rousing battle speech. Obviously, Jancso does not mean for the Commander to save the audience from their confusion and anxiety. Jancso presents a clear message in his rejection of character and narrative: war has no heroes. There are no ‘good guys’ and ‘bad guys’. There are merely men giving orders and men carrying them out, all doing their utmost to survive. In the final ten minutes of the film, the Commander leads his men in one last charge. Only a few of them face certain death against an entire cavalry. The final battle marks what would be the culmination of the film in a traditional narrative. However, the scene features no elements to provoke emotion from the audience. There are no dramatic close-ups, no heartfelt speeches, and no score. Eventually the Commander and his men give up the fight and march towards the army to meet their death. Jancso uses a wide shot to show the small brigade facing an entire army. The audience watches from a distance as these men give their last stand. However, one questions whether or not the audience even cares at this point. The film gives them no reason to invest in the fate of these men. The viewers are merely passive observers, incapable of understanding what it is like down on that battlefield. Heartfelt characters and dramatic action sequences ground a traditional war film. The Red and the White lacks both of these elements. It depicts war’s frenzied and irrational nature. Jancso does not want us to sympathize with the characters or comprehend their struggle. Unlike Hollywood films, The Red and the White knows that most viewers will never know the experience of war so there is no point in trying to make them understand. Those that do understand would not want a polished and glamorized reproduction of battle. The Red and the White aims only to educate by letting viewers form their own ideas about the merits of war. The Red and the White does not uplift the audience. Instead it frustrates the viewer, who spends the entire film trying to make sense of the nonsensical. The Red and the White’s rejection of all war-movie tropes blurs the lines between fiction and nonfiction film. Pork Chop Hill, while it depicts real events, falls clearly into the war drama category. However, The Red and the White, especially with its lack of score, feels like a filmed reenactment more than anything else. It is unclear which type of film is more effective. The Red and the White is hard for the audience to digest, which may cause them to reject the film altogether. On the other hand, Pork Chop Hill, while less accurate, was a very successful film because it glossed over the horrors of war to present a shinier, more palatable package. Without genre and the expectations that follow it, understanding a film becomes extremely difficult and demands more of the audience. They must embark on a journey without a guide. Although difficult, striving to understand a film makes the lessons learned vastly more rewarding and meaningful.